Marylebone Cricket Club is the world’s most active cricket club, the owner of Lord’s Ground and the guardian of the Laws of the game. Marylebone Cricket Club was founded on May 31st, 1787 when the ambitious entrepreneur Thomas Lord staged his first match – between Middlesex and Essex – on a ground on Dorset Fields in Marylebone. The following year, MCC laid down a Code of Laws, requiring the wickets to be pitched 22 yards apart and detailing how players could be given out. Its Laws were adopted throughout the game – and the Club today remains the custodian and arbiter of Laws relating to cricket around the world. In 1814 MCC moved up the road to a new rural ground in St John's Wood - which remains their home to this day. A decade later, when Thomas Lord was 70, he sold the ground to a Bank of England director, William Ward, for £5,400. Having provided the Marylebone Cricket Club with a ground for 38 years, Lord retired before passing away seven years later - but his name lives on. In the 1870s, MCC decided it wanted to get involved in county cricket, which was growing in popularity, and, in 1877, it invited Middlesex to adopt Lord's as its county ground - an arrangement which continues over 140 years later. In 1877 MCC sent James Lillywhite and an England side to Australia in what would become the first official Test match - although it was not until 26 years later, in 1903, that MCC undertook responsibility for England's tours in an official capacity. One of MCC's most famous players, and one of the greatest cricketers to play the game, Dr W.G. Grace, gave the Club even greater recognition through his monumental performances and his stature as one of Britain’s first sporting celebrities. 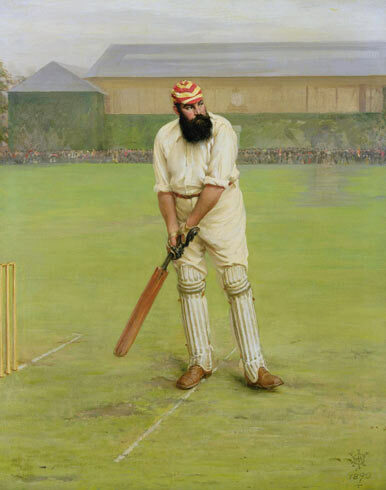 A painting of him by Archibald Stuart-Wortley was presented to the Club in 1890 and still hangs in the famous Long Room. At the turn of the century, the Board of Control for Test Matches, the Advisory County Cricket Committee and the Imperial Cricket Conference were all set up to cater for the growth in domestic, and international cricket. These bodies existed until 1968 when there was a major reorganisation of cricket in England. Since MCC was a private club it could not receive public funds, so it set up a Cricket Council as the governing body of cricket and the Test and County Cricket Board (TCCB) to administer the professional game. It also converted its MCC Cricket Association into the National Cricket Association (NCA) to look after the recreational game. As a result, cricket started to receive financial help from the Government. In the 1990s, the structure was changed again with the England & Wales Cricket Board (ECB) taking over responsibility for all cricket in England from the TCCB, NCA and Cricket Council. There are now 18,000 Full and 5,000 Associate Members of MCC. These Members own the Ground and all of MCC’s assets (the most famous of which is the Ashes Urn), they govern the Club through various committees, and some 2,000 of them represent MCC on the field of play each year. MCC plays more matches than any other cricket club – around 480 per year against schools, universities and clubs in the UK, and between 20 and 30 fixtures annually as part of its overseas touring programme which aims to develop cricket abroad. The Club invests around £2 million in the game each year, funding elite youth cricket in the form of the six MCC Universities and the MCC Young Cricketers, its extensive playing programme, and the promotion of the Laws and Spirit of Cricket. On the international stage, MCC has a World Cricket Committee, currently chaired by Mike Gatting, that contains eminent current and former players and administrators. It has a remit to act as an independent think tank debating issues and making recommendations about the health and state of the game, as well as to commission research. The original MCC colour of sky blue was replaced in Victorian times by the famous red and yellow. They are now recognised the world over (affectionately referred to as 'egg and bacon'). MCC Museum houses a boundary flag dating from this period, which is the earliest known example of the red and yellow monogram, but it remains a mystery on why these colours were chosen – though a number of explanations have been proposed. The colours are similar to those used as racing colours by The Duke of Richmond who had strong ties with the Club in the early days of MCC. While it has also been suggested that the colours were borrowed from the wandering club I Zingari who were founded in 1845 and shared many members with the MCC. However, common consensus leans to the Club taking on its colours as a personal thank you to William Nicholson who assisted in purchasing the freehold of Lord’s Ground. Nicholson, an MCC Member, was also the owner of the Nicholson’s Gin Company, the colours of which were red and yellow – in what was perhaps an early example of corporate sponsorship. 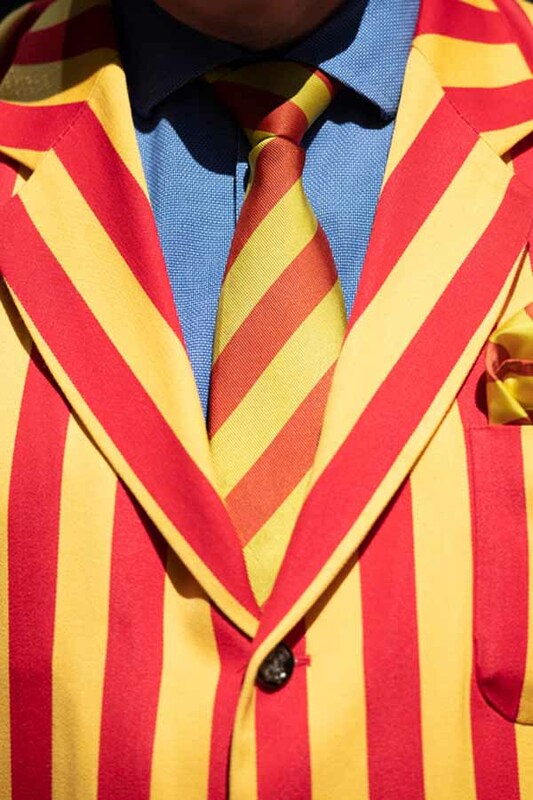 Whatever their origin there is no doubt that the colours of MCC are among the most famous club colours and are instantly recognised across the sporting world. In total, there have been 168 Presidents of MCC, including three men who served two terms. Of these Presidents, a number had notable titles outside the Club; one was a member of the Royal Family, 93 were noblemen, eight were honourable, six were baronets and 13 were knights. The current President of MCC is Anthony Wreford. 1930 Sir Kynaston Studd, Bt. 1925 Admiral of the Fleet Sir John de Robeck, Bt. 1880 Sir William Hart-Dyke, Bt. 1875 Sir Charles Legard, Bt. 1857 Sir Frederic H. Hervey-Bathurst, Bt. 1844 Sir John Bayley, Bt. 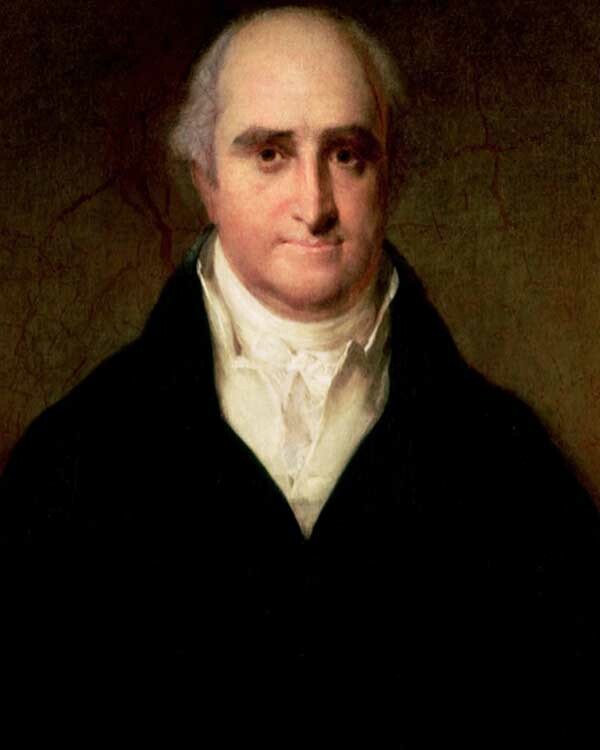 1826 Lord Frederick Beauclerk, D.D. As important to the Club as the future of cricket, is the preservation of its past. MCC owns the most comprehensive collection of cricket artefacts and books in the world, housed in its Museum and Library at Lord’s. Marylebone Cricket Club Collections is one of the oldest sports collections in the world and comprise fine and decorative British art, as well as an unparalleled Library and film / paper Archive held on-site. MCC also has an active portrait commissioning programme that supports London-based artists specialising in figurative drawing and portraiture. The Lord’s Portrait Project was established in 2005 and continues today. The MCC Archive comprises documents related to MCC, associated bodies, and special collections from the 18th century to the present day, highlights of which include the first MCC Minute Book starting from 1826, and the first scorebook of MCC matches which predates even the present Lord’s Ground. Other highlights include scrapbooks compiled by R A Fitzgerald, Pelham Warner and Gubby Allen, working archives of F S Ashley-Cooper, Irving Rosenwater and Bill Frindall, and audio and visual material including the David Rayvern Allen Audio Archive – an interview project established by MCC in 2003. MCC Museum is one of the oldest sporting museums in the world, dedicated to tracing the history and development of cricket. The collection was established in 1864 when Members were invited to donate items of interest to furnish the Pavilion. In 1953 HRH Duke of Edinburgh opened the Imperial Memorial Gallery, which enabled the Club to display works to the public for the first time. MCC Museum continues to enhance its collection through donations, bequests, purchases and commissions and has a formal acquisitions policy in place. The generosity of players, administrators and Members continues to keep the museum relevant and up-to-date. Most famously on display is the Ashes Urn, a personal gift to England captain the Hon. Ivo Bligh in 1882/83 and later donated to MCC by his widow in 1928. The MCC Library contains the world’s largest and most comprehensive collection of books and publications dedicated to cricket. Spanning over 20,000 titles from the latest books and magazines to rare editions and pamphlets from the game’s earliest days, the Library is an invaluable resource for authors, researchers and journalists. As well as a complete set of Wisden Cricketers’ Almanack, the collection also includes the only known complete set of Britcher’s Scores and many other items of a rare and precious nature. Many works on other bat and ball games are also featured in the collection, most notably on real tennis, a sport with which MCC has a long association.